As You Like It – Facebook. Posted on 29th April 2011 at 12:11. Facebook’s ‘like’ button passed a milestone last Friday. It’s now officially a year old and growing in influence with each passing day. You might be thinking to yourself, so what? Why should that be classed as news, when far more important things are taking shape in the social media marketing world? Well, you’d have a point: quite a number of people regard the ‘like’ button as little more than a gimmick, and blame it for stifling interaction and comment in social media – after all, it’s much easier to click a button and give a thumbs-up than it is to sit and type a comment. Yet, like it or loathe it, the ‘like’ button has transformed social media interaction: you might see it as insidious, but, let’s face it, it’s definitely here to stay. Facebook first introduced the ‘like’ button at the F8 developer’s Conference, along with ‘Facebook Open Graph’ and ‘instant personalisation’. It became an overnight hit with 50,000 signing up to the application in the first week, and 100,000 websites added the utility in the first month. You could argue in many ways that the ‘like’ button ramped up Facebook’s appeal allowing it to spread its footprint right across the web. Sure, it was already a popular application – in fact the most popular social media platform, even without the ‘like’ button, but the new utility gave it that extra impetus that kept it firmly at the head of the social media rankings. Many critics saw the ‘like’ utility as little more than a social gimmick, and believed the fad would pass as soon as the novelty value wore off. There was, in their eyes at least, no substitute for social interaction: successful businesses, they maintained, only ever progress and build when they manage to engage their customers and establish a genuine two- way conversation. Clicking a button simply didn’t cut the mustard. However, 12 months on, and these critics are having to eat their words. Facebook’s ‘like’ continues to grow and its influence increases with each passing month: according to Facebook, 10,000 new websites add the utility each day, and 2.5 million websites have integrated the function in the last 12 months, including approximately 80% of the top US websites. It’s progressed to such an extent that social media industry experts, Eventbrite, have concluded that a Facebook ‘like’ is far more profitable than any tweet. The acid test for any new idea is how quickly the competition latch onto it. It’s no different in business – as soon as your competitors start to copy what you’ve already done, you know you’re probably on to a winner. 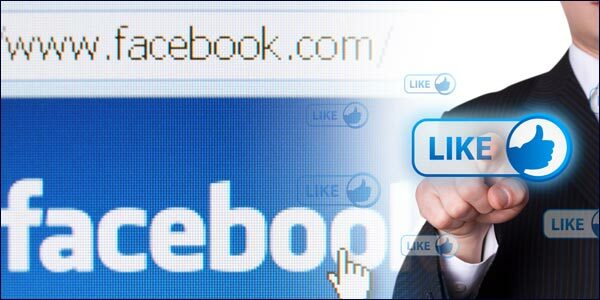 Google has seen the potential of Facebook’s ‘like’ approval scheme, as has recently introduced its own version of it with +1. As they say, imitation is the best form of flattery, even when it’s not sincere. It’s Not Always The Usual Suspects Who’re The Most Popular On FacebookHow To Create A Domain Name That Works For Your Business.